If you are a house hunter and have an iPhone you really should have this app. It’s a free mobile app from Real Estate One that is GPS enabled and map based, and shows you all of the houses that are for sale in the immediate area around your current location. In fact you can expand the search area using the normal iPhone touch motions that you use to zoom in or out. You can also pan around the area to change from your current location to anywhere else. It’s fun to use and quite informative. The app shows you a little real estate sign with the price of the listing on it. If you touch the sign it give you more information, such as the number of bedrooms and baths and square footage. You can then choose to expand the information that is available about the house, including its listing picture and listing information. Going even deeper there is information available about the taxes, the room sizes and more – everything that you could get sitting at a PC and signed on the Multi-list service. Remember however that this app is for MIchigan-based listings only, since Real Estate One is a Michigan-only company. You can get this app at https://itunes.apple.com/app/real-estate-one/id322434170?mt=8 or you can go to my mobile web site www.movetomilford.com on your iPhone and download it from the home page choice there. If you like to be aware of things while you’re on the go, this is a must have app. If you don’t have an iPhone Real Estate One also has an Android version available at https://play.google.com/store/apps/details?id=org.vp.android.apps.search.reo&feature=search_result For phones that don’t support either the iPhone or Android versions there is mobile version of Real Estate One’s standard criteria-based web search that will within a browser on most smartphone. It is at www.mihome.mobi/ That app is also accessible from my Move to Milford mobile web site. Below is a video that was created by Scott Gaffen of REal Estate One and appeared on his blog, Scott’s Tech Tips about these apps. As always, if you need help with your search or you want to go see one of the houses that you’ve found using these apps and you’re not already signed up with another agent, give me a call – 248-763-2497 – and I’ll set up an appointment. I won’t force you into signing some Exclusive Agent agreement with me; I use an agreement that is only for the homes that I show you and allow you the freedom to use other agents if you choose to see other houses. Of course, I hope that you’ll find my service to be such that you won’t want to use other agents; but at least you’re not locked in. 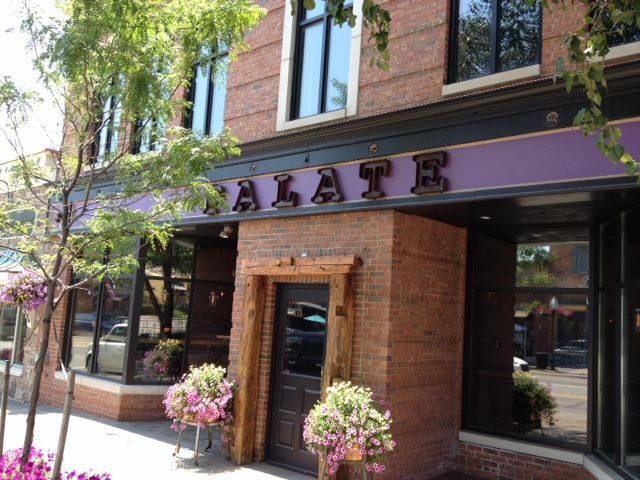 There’s still time to get a reservation for tonight’s Beer Dinner at the Palate in Milford. The four-course meal will offer different craft beers from The Witches Brew brewery with each course. to see the menu, click here. Call 248-714-5707 to see if you can still get a table. Owner Joe Hibbert has been coming up with unique and fun events at the Palate since it opened, usually revolving somehow around the 30+ craft beers that they have on tap. And if you haven’t tried their Zombie Killer mead yet, give that a try…it’s great. This special meal will supercede the regular menu for tonight only. I certainly wish Joe and his new bride Bristol success with this new dining venue. Milford has developed quite a reputation as a fine dining destination and the Palate just adds to that reputation. So, if you like good food and good craft beers, head out to the Palate on Main St in Milford tonight. Just for the occasion we’ve ordered up warmer weather today. Tomorrow it’s back to winter, but tonight we party. “It’s easy to sit up and take notice. 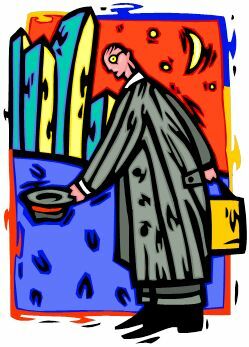 What is difficult is getting up and taking action.” (Honore de Balzac) – from the Jack’s Winning Words blog. As is often the case with Jack’s blog the focus is on doing and not just recognizing. If you see something that is wrong – do something about it. Jack went on to also share a saying that he says he has posted next to his computer – “Get Tough…Get Off Your Duff.” Interestingly, Jack opined that the saying that he has posted probably came from some sales pep talk. Balzac’s advice is easier to read and think about than to act upon, since that would involve getting up and taking action. I suspect that the reason is that when we take notice of something, we start imagining how big the problem/issue may be and how difficult it would be to solve the whole problem and maybe not just the immediate problem that is front of us. If we see a hungry person on the street, we ought not worry about solving world hunger, but about helping that person get something to eat. The other reaction that can lead to inaction is the reflex to say to yourself, “There but by the Grace of God go I.” The next step in that avoidance reaction is to rush away from the problem, thanking God for your good fortune. Perhaps the reaction should be to thank God for placing you in a position to be able to help. Another resolution for many is to notice, but also to ignore. It is very easy to rationalize not taking action by convincing yourself that you are too busy with other important things to take action on what you have just noticed that also needs attention. People who do that are often plagued by long bouts of the “coulda, woulda, shoulda’s” later. Our lives can become such a frenzy of activities that we become convinced that we are too busy to take on anything else; yet, if one really reflected upon the content of that daily frenzy, there are probably lots of things that could easily be dropped to take on a more important task. We bury our heads in the sands of busy work and trivial, time-wasting pursuits like texting and Facebooking to share what we had for breakfast with the world. Make no mistake about it; texting “OMG, U won’t believe what I just saw” is not taking action. Perhaps a signing off with a text, “OMG, gotta go, someone needs my help” is a start in the right direction. So, whether you apply Balzac’s advice to your daily work life or to a life dedicated to service to others, the important thing is to combine Jack’s little saying with Balzac’s second sentence thought – get off your duff and take action. “We must accept finite disappointment, but never lose infinite hope.” (MLK, Jr.) – from the Jack’s Winning Words blog that I so often used as inspiration. I marched in the recent MLK Day parade –“March On Main Street” – in Milford. It was a cold day, but an inspirational one. One thing that really hit me was that most of the parade organizers and marchers were way too young to have any personal ,memories of Dr. King or the events leading up to and surrounding his famous “I have a Dream” speech on the National Mall in Washington D.C. I also didn’t know, until one of the speakers at Milford’s parade mentioned it, that Dr. King had actually delivered that same speech weeks before in Detroit. The words that Jack chose for today’s Winning Words post are certainly words to live by. We all face disappointments in life and it is only through continued hope that we keep striving. I think we could add that we sometimes need infinite patience and persistence, too. I read recently about a young man, who is an entrepreneur, trying to launch his first company. He became discouraged after he had pitched his idea a few times to potential backers and been turned down each time. After much introspection, he decided that he needed to steel himself against those inevitable setbacks; so he set out on an unusual self-improvement project. He decided to take 100 days and to go out and ask something outrageous of total strangers so that he would experience their rejections and become less sensitive to failures. No matter how outrageous his requests, he discovered that he didn’t always get turned down. He also came to realize that he didn’t need to take personally the rejections that he was getting most of the time. He also moved from being terrified the first few times out to seek rejection, he actually began to enjoy it. Now there are life lessons in that story for all of us. Many of us avoid doing things that we should be doing in business or life out of a fear of rejection. A couple of years ago, I did a bunch of up-and-down- the-street cold calling on behalf of a business. I hate cold calling; but, after a few calls I found that I was enjoying the challenge. I met lots of new people. I didn’t always fail and got a lot of business cards out to local companies. Sure I got thrown out of a few places (the ones with No Soliciting signs that were really serious about it), but I also got into many places that had those signs and discovered a welcome reception once I was in. I guess I was running on infinite hope for most of the time. Right now, having been patient and persistent for the last few years, I’m hopeful that the real estate market is indeed coming back in this area. All the signs point to that. We just need more homeowners who hunkered down to ride this thing out to come up for air and see if now is the time to sell. We have lots of buyers and not enough homes to show them right now. So give me a call and I’ll work with you to see if market values have recovered enough for you to consider selling. If it’s not yet he right time for your home, don’t give up hope! You know it’s a bit slow when the top headline in the local paper is “Residents Adjusting to New Trash Days.” That was this week’s headline above the fold in the Milford Times. But, hey, it’s winter and it’s Milford. You have to work a little harder to find the things to do for a little fun in the dead of winter. Of course one can always attend the “Basics of Ice Fishing” out in Kensington Metropark. That’s why a poster sent to me by one of the owners of the Palate restaurant seemed to represent a fun break for the winter blahs. Palate is having a Beer Dinner on Jan 29th. Now a beer dinner is sort of like a wine dinner, but without the wine snob part. I suppose that one could make the case that serving a variety of craft beers is sort of beer snob thing; however, it’s hard to use the words beer and snob in the same sentence, unless you have a bit of a smirk on your face. Since it opened back in the late summer/early fall, 2012, Palate has been the place to go for craft beers, with over 30 on tap, and great food. Owners Joe and Bristol Hibbert have worked hard to introduce not only great food but a new, technology-driven restaurant environment to the Milford dining scene. They are also trying to stage special dining events that will take advantage of, and highlight, their craft beer orientation and Joe’s commitment to buying local products and producing great fresh food dishes. So, check out the Beer Dinner, Jan 29th. I have uploaded the poster for the even to my Move To Milford web site and you can view it by clicking here. Hey, it’s the middle of the winter and we’re in Milford, Michigan. That doesn’t mean we can’t have fun. See the poster for cost and where to call for reservations. You are currently browsing the NormsMilfordBlog blog archives for January, 2013.